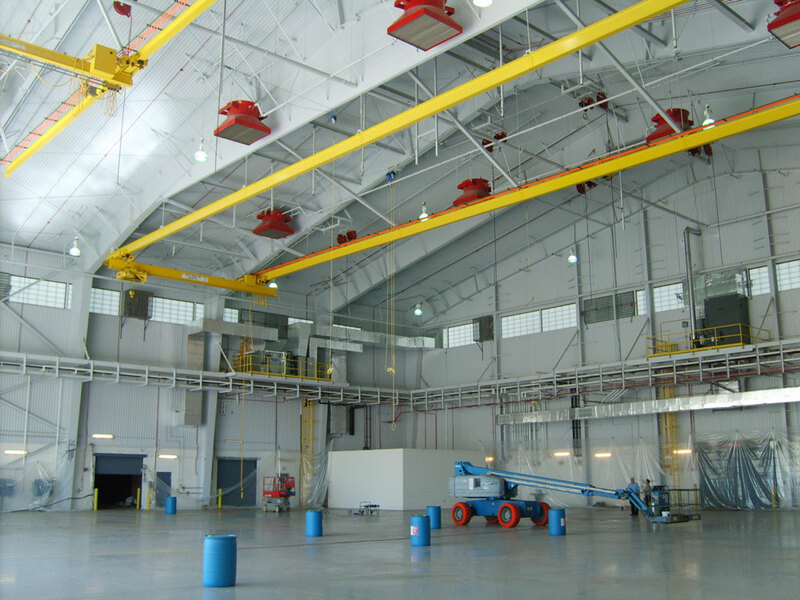 Benham provided full A/E design and Construction Administration services a new maintenance hangar and associated shops for a total of 66,000 SF. 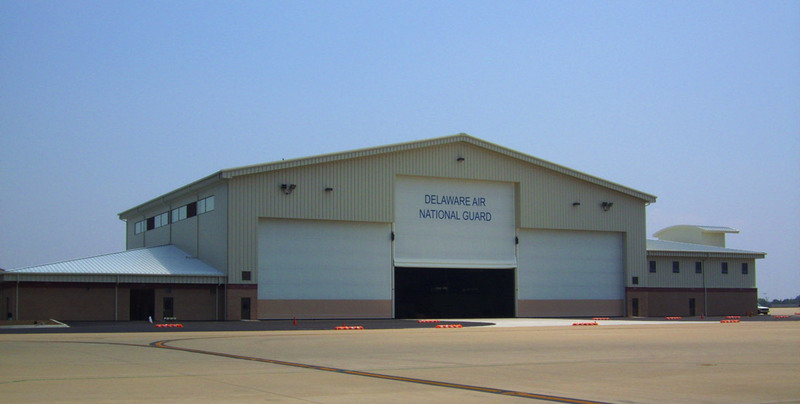 Phase I consisted of the construction of the Maintenance Hangar with HEF overhead, HEF/Utility rooms, water storage tanks, major utilities, and pavement removal. 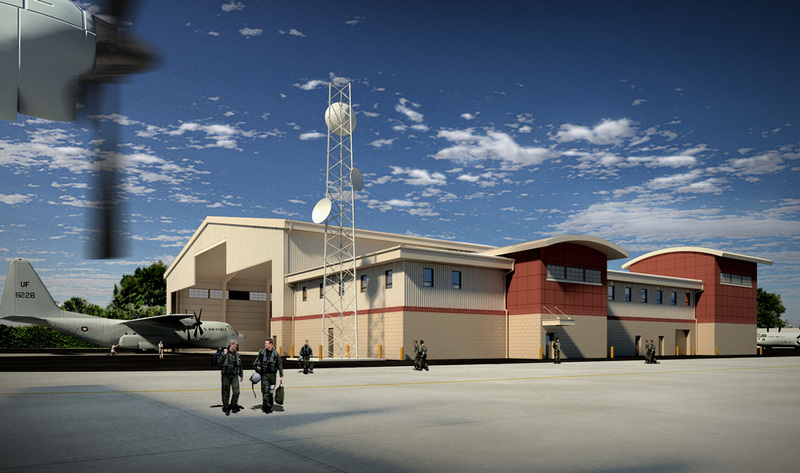 This phase has a boiler room, electrical room(s) communications room, and bathrooms for the Hangar. 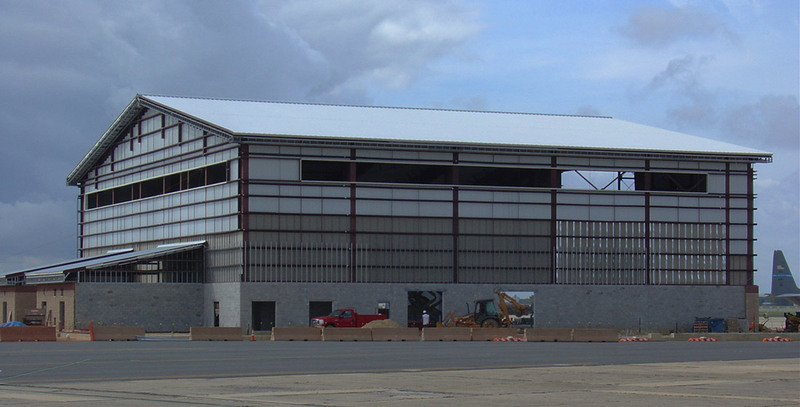 Phase II included construction of office space and the following shops: General Purpose; Weapons Systems Maintenance Management; Non-Destructive Inspection (NDI); Avionics; Electronic Counter Measure (ECM); Survival Equipment; Aircraft Maintenance Unit (AMU); Engine Inspection and Maintenance; and Aircraft Support Equipment (ASE) Shop/Storage Facility.